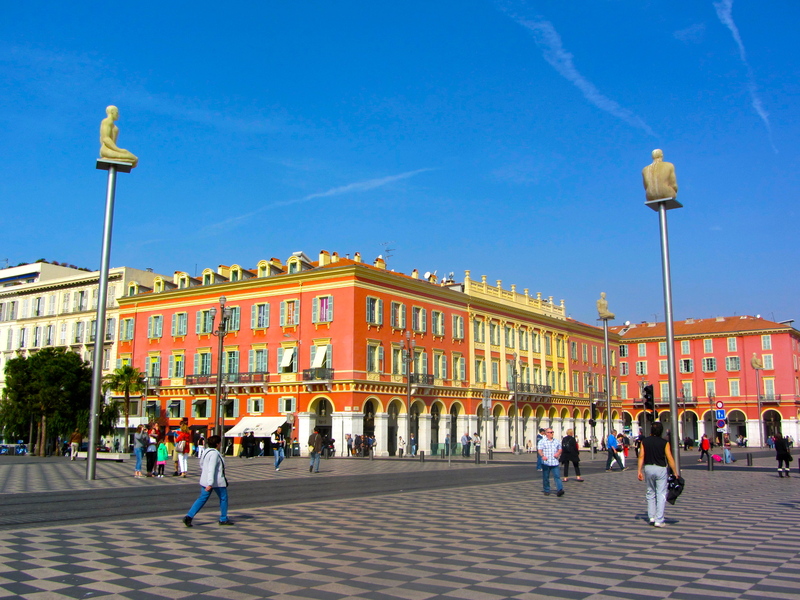 Nice City Centre is split in two by the Carre d’Or which is centred on the Avenue Jean Medecin – the main shopping high street in Nice. 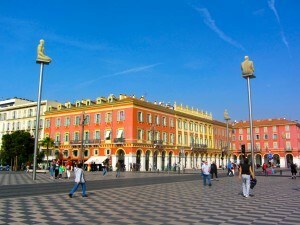 The City Centre is in many ways the ‘New Town’ of Nice and it certainly feels a world away from the Old Town. Here grand buildings are all ordered on a well organised grid pattern, an urban planners dream! The busy streets are full of shops and boutiques as well as a wide range of restaurants. 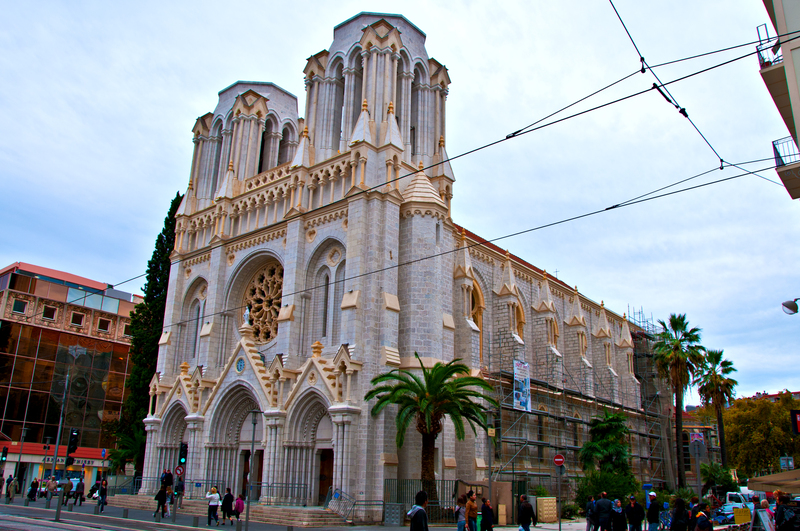 Central Nice, the area to the east of Avenue Jean Medecin and north of the Old Town, is a typical French area mostly off the tourist radar. Here, one may find authentic Nicoise buildings and be almost certain that your neighbours are all French. This is where your real local experience kicks off. The Nicoise style of architecture is prominent in central Nice and this is characterised by green window shutters and ample balconies. 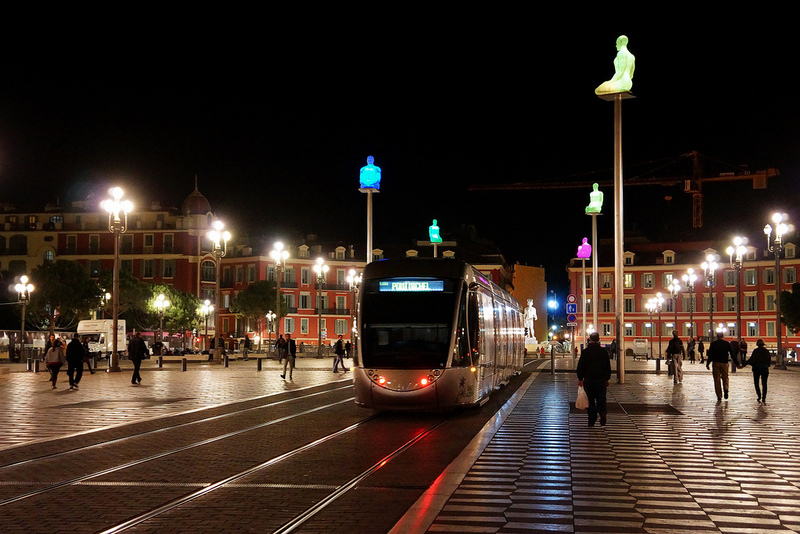 Nice’s new tramway system runs from the northern suburbs and goes straight through Avenue Jean Medecin to Place Massena, the heart of Nice. On the upper East side of the tram line you will find a more business like area with lawyers offices, furniture shops and bookstores, while there are also French language schools and a private business school. The lower side gives fast access to the beach and is surrounded by shops, restaurants and buzzing daily life. Avenue Jean Medecin is a shopper’s dream with Galeries Lafayette, the world famous department store, the Nice Etoile shopping centre and a plethora of other shops offering bargains galore. Follow the park to walk from Place Massena to Place Garibaldi. The Museum of Modern and Contemporary Art, located close to Place Garibaldi, offers numerous exhibitions throughout the year. Across the road, the Acropolis is a large conference and exhibition centre which draws many businessmen to the Riviera. The city centre is big! 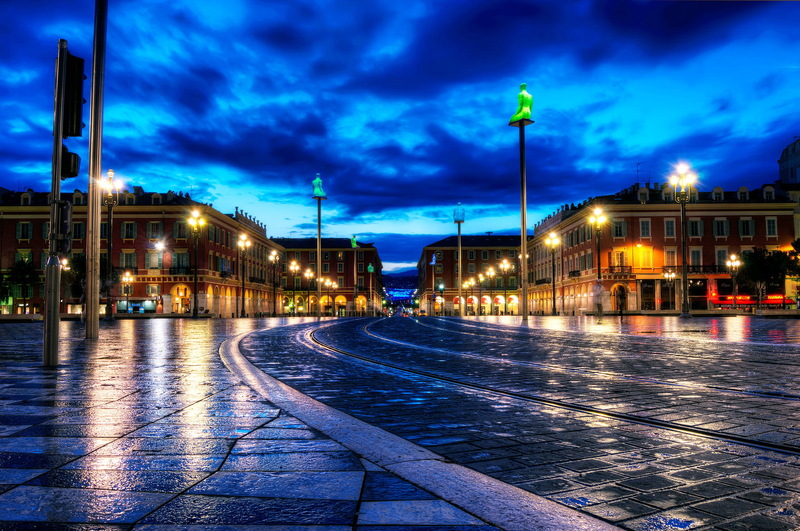 We want you to know that our holiday lettings in Nice city centre are to be found in the South East and South West of the city centre just outside of the Place Massena and Place Garibaldi, the two main squares in Nice! So all our apartments are very central! This is the everyday side of Nice and home for many locals. Nowhere in the City Centre is more than 10 minutes walk away from the beach, the Port, shopping area and the Promenade. Our holiday lettings in Nice city centre are the perfect base from which to explore the whole city! In fact, all ZEN apartments are in the heart of City Centre Nice. Take a look here. Check out two bedroom apartment MARSHALL with it’s designer like interior. Another even more central two bedroom apartment is JEAN JAURES. This one has two bathrooms and a king sized bed! Five minutes from the beach and with a big private terrace is DALPOZZO. In the very heart of Nice you will find MOULIN and GESU apartments. ALBERTI is our real smart studio with huge balcony. And MASSENET has a balcony with sea view. Are you looking for a comfortable apartment in the middle of everything? MASSENA or MEDECIN is what you are looking for.